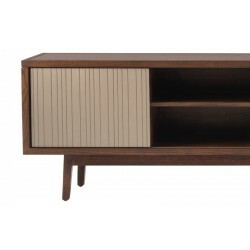 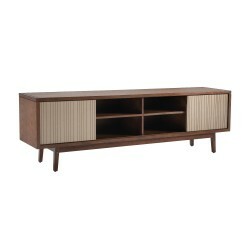 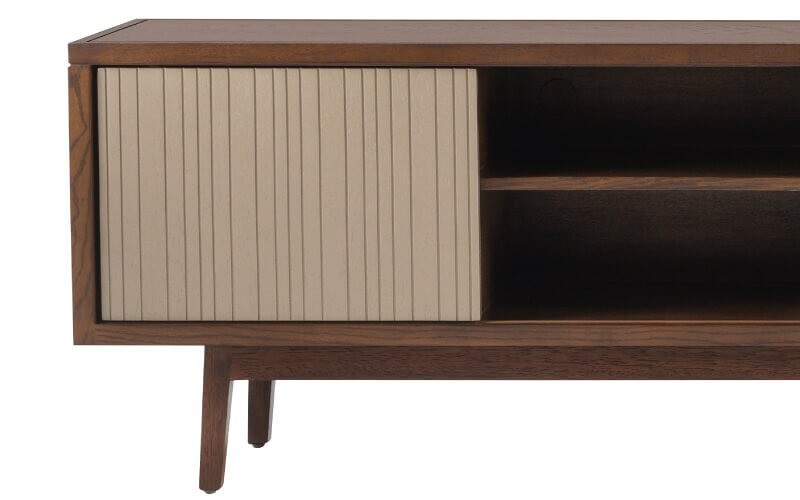 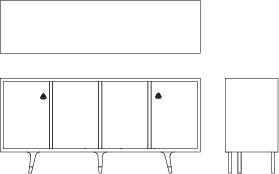 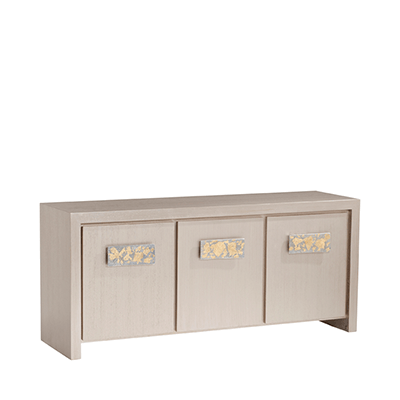 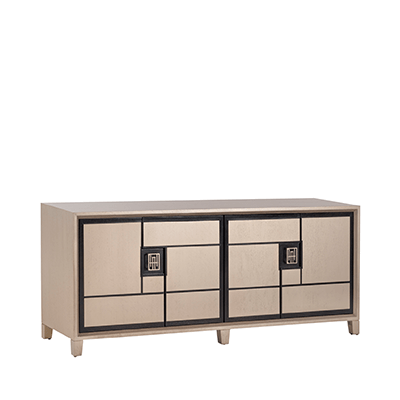 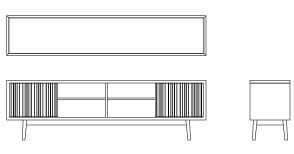 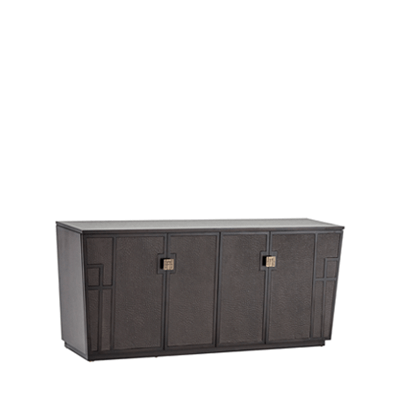 The Rumba Credenza 200 offers practical and functional entertainment with two sliding doors featuring wooden details. 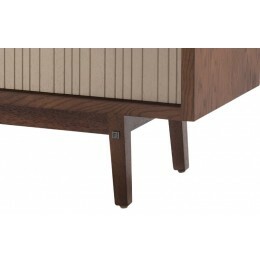 Its top features marked bevels, natural wood patterns and stands on tall, stylized legs that truly enhance this piece. With its capricious shape, this piece emphasizes the use of materials such as hardwood, exotic leather, and hardware that give it a decorative and authentic touch. 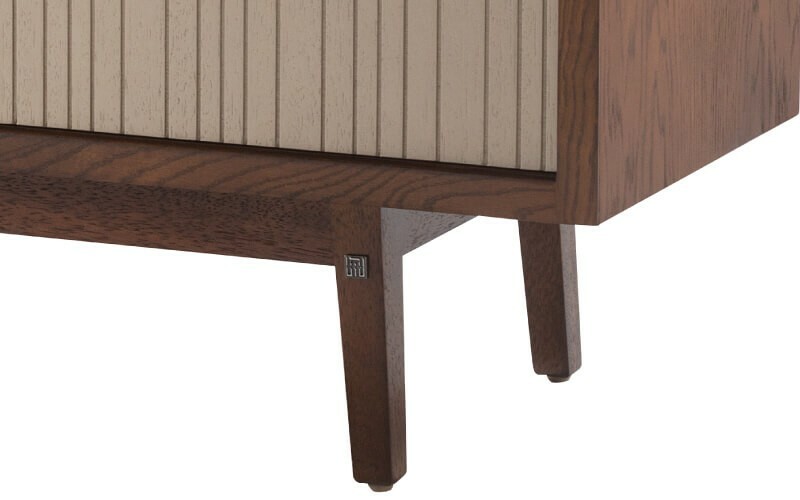 Along its side, the wood shape subtly represents the brands icon. 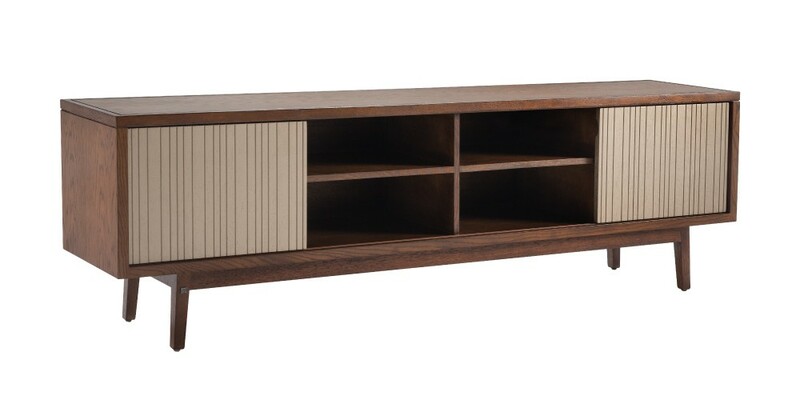 From the Café Collection, this piece of contemporary design has been inspired by Colombian Coffee. 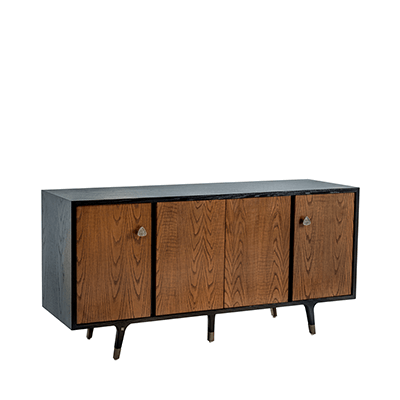 From the Caramelo Collection, this Buffet has wood details that highlight its forms and shapes.